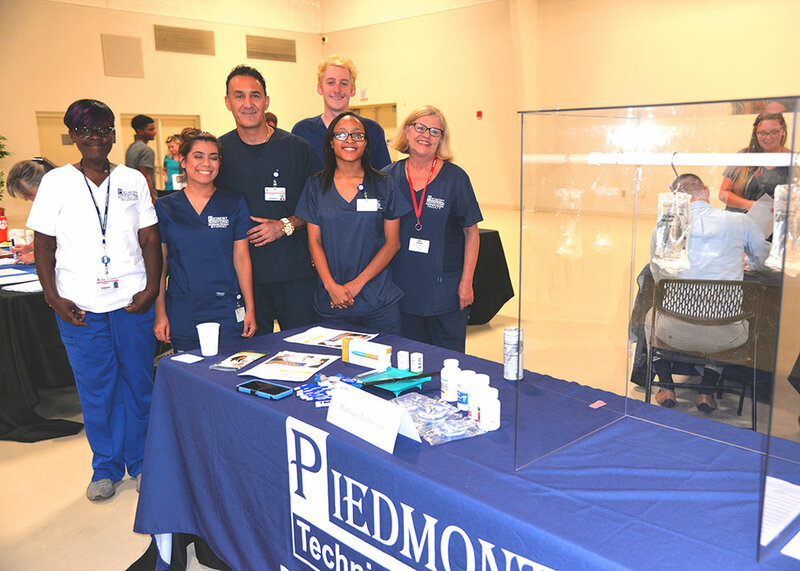 The options available to health science and nursing students at PTC are vast. While that’s a good thing, many students enroll with only a generalized notion of what they want to pursue, which may be something health-related, but they aren’t sure exactly where along the spectrum to focus. That’s why customized advising on health science and nursing careers is so critical to properly grounding the initial steps in their journey. 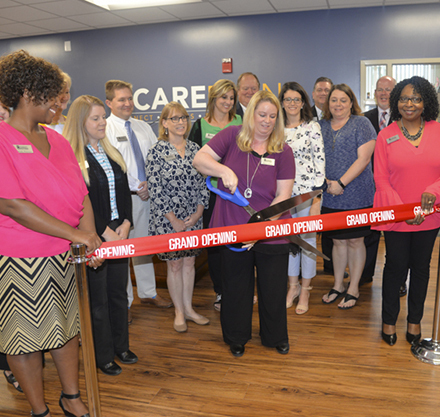 On September 20, 2018, PTC held a grand opening for its long-anticipated CARE Planning Center in Suite 149-A on the Lex Walters Campus-Greenwood. With this resource in operation, students majoring in any health care field can go to a single, centralized location for their advising needs. It’s especially relevant because, historically, students have selected health care majors based on limited or incorrect information. When this happens, they may inadvertently delay their progress and prospects for success. The CAREplan initiative is a Quality Enhancement Plan (QEP) designed to improve retention for health care and nursing students, whose path to a degree involves specific prerequisite courses, grade-point average and testing requirements, and program application processes. A QEP is a requirement for PTC’s reaccreditation with the Southern Association of Colleges and Schools Commission on Colleges. QEPs are five-year plans focused on improving student learning or the environment surrounding student learning. They also support PTC’s mission goal to ensure that students are positioned for success. Paguntalan explained that CAREplan will save students time while improving and streamlining their college experience. It also will strengthen PTC’s overall advising platform. With the CAREplan working as it is designed, students can raise their expectations and bypass unnecessary setbacks on the path to their degrees. “Being engaged on campus leads to better outcomes,” Paguntalan says. Students taking classes at PTC’s other sites still will be able to meet with specially trained advisors on their local campuses. Bagwell said the new CAREplan is one of several special advising initiatives being considered and tested across the PTC system. “We will take what we have learned and apply it across the institution,” he said. For more information about CAREplan, go to www.ptc.edu/care.